Don’t let the cute cuddly look of raccoons fool you they can be very dangerous. Generally they tend to leave humans alone, however if a food source is near by they can become dangerously comfortable around humans. Raccoons carry diseases and are considered to be the primary carrier of the rabies virus in the United States. They are also extremely territorial and will defend themselves viciously if provoked. 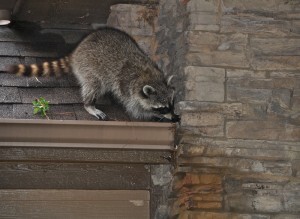 Raccoons can cause thousands of dollars in damage to a home or business if they decide to take up residence. They can tear off shingles and chimney caps to gain access, once inside they will, destroy insulation, eat food stored in cupboards, rip up furniture, urinate and defecate everywhere and have even been known to turn on faucets and cause flood damage (that is often not covered under regular insurance policies). They have been known to break into poultry barns and pens, killing chickens and stealing eggs, as well as causing immense damage to the structure. Raccoons should definitely be left to the professionals! 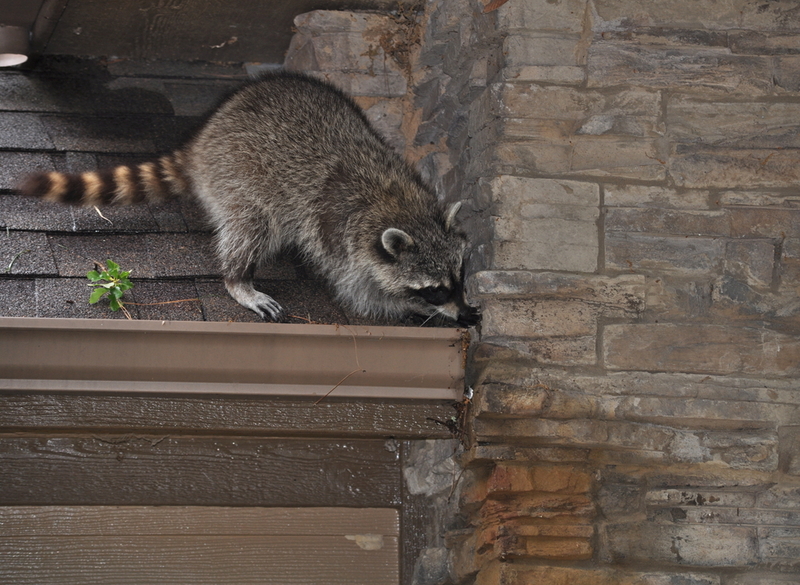 At Wildlife Command Center, we can remove the raccoons, repair the damage, clean and disinfect any areas where they have been and install measures to prevent them from moving in again!